A recent ruling by the Fourth Circuit has put the False Claims Act allegations made by Frank Skinner, a former executive of Armet Armored Vehicles Inc. (“Armet”), back in play. According to a federal district court in Virginia, the Circuit’s decision in Badr v. Triple Canopy Inc. has amounted to a change in the law that now allows the government to bring “implied certification” claims when a contractor withholds information about any non-compliance with its contractual obligations. Accordingly, the court denied Armet’s motion to dismiss in its entirety. The company is alleged by Skinner to have defrauded the federal government by supplying U.S. forces in Iraq with substandard gun trucks. The now defunct company designed, manufactured, and supplied armored vehicles for government and commercial customers. It was headquartered in Miramar Beach, Florida, but also had offices in Danville, Virginia, and Ontario, Canada. The decision in Triple Canopy did not represent a pure reversal of standing precedent in the Fourth Circuit, but prior to the decision, the Circuit had expressed its doubt that the “implied certification” theory of liability under the False Claims Act was valid. But in Triple Canopy, the court explicitly held that the government pleads a false claim when it alleges that a contractor, acting with knowledge, made a request for payment under a contract and withheld information about its non-compliance with material contractual requirements. Prior to the decision, the federal district court had rejected Skinner’s argument that the invoices submitted by Armet to the government amounted to a claim that the vehicles complied with contractual requirements. 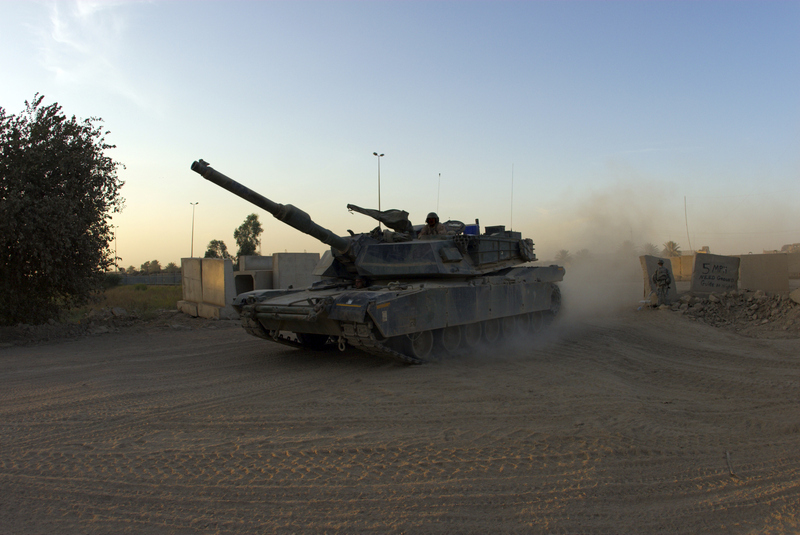 The court determined that at most, the claims could be read as alleging that Armet breached its contracts with the government by failing to live up to its agreement to provide appropriate vehicles. The civil complaint originally filed by Skinner in 2012 alleged that the military contractor delivered just seven of the thirty-two armored vehicles that the company was supposed to provide. Pursuant to one of its contracts, Armet was required to deliver the first twenty-four armored gun trucks by July 31, 2006 but Armet failed to ship a single vehicle by that deadline. Further, the only gun trucks that were provided allegedly did not meet the specifications for ballistics and blast protection outlined in two contracts with the government. More specifically, the government, in its solicitation, set forth the required ballistic protection standards that would be applicable to the vehicles it wished to purchase. Armet designed the Kestrel/Gurkha vehicles at issue and was therefore aware of its ballistic protection capabilities. Nevertheless, the company allegedly represented to the government that the vehicles would meet the standards set forth in the solicitation. For example, the company stated that the there would not be any gaps in the Kestrel/Gurkha vehicle’s opaque armor but the vehicle had an unarmored door handle that created an approximately three by four inch gap in the armor. Pursuant to the Federal Acquisition Regulations System, the ultimate burden of quality control is on the contractor. In addition, both contracts required that each vehicle be reinforced to a standard at which an armor-piercing bullet could not penetrate the passenger compartment and ceiling. The contracts required the undercarriage of each armored truck have mine plating protection that could withstand explosions underneath the vehicles. And finally, the contracts required the armored vehicles to have run-flat tires, plus one spare, so they could continue to operate should their tires be shot out or otherwise flattened. Skinner, who has over thirty-two years of experience in the defense industry, also reported the fraud to the FBI. He worked with the government as its confidential informant for approximately five years and following an undercover sting operation, Armet was indicted by a federal grand jury on charges that it falsely represented the level of protection provided by armored vehicles used by convoys in Iraq. The grand jury charged Armet and its president, William R. Whyte with three counts of major fraud against the United States, seven counts of wire fraud, and three counts of false, fictitious, and fraudulent claims. According to the indictment, Armet entered into a contract in April 2006 to provide the Department of Defense with twenty-four armored vehicles for use in Iraq. In June 2006, Armet entered a second contract to deliver an additional eight armored vehicles. These trucks were to be used as security vehicles to Iraqi “VIPs” who regularly traveled by motorcade through a “hostile and dangerous environment.” Armet allegedly earned over $2 million for the sub-standard vehicles.